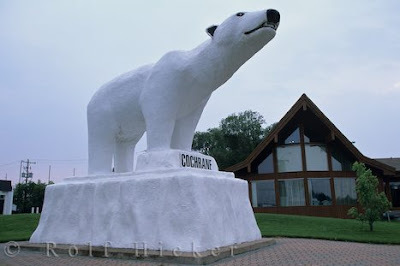 Things I Like: Going to Cochrane! I'm trying to pump myself up for the loooong drive (9 hrs...eek!) to Cochrane by thinking about all the great things I will see on the drive up. No seriously, there is some weird stuff along that desolate highway. 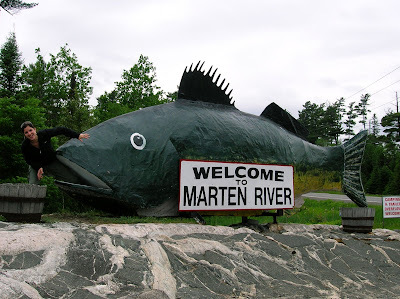 I'm entirely sure why, but people in Northern Ontario love their giant statues of animals. I don't know why they're there, but I love them and it makes for some much needed visual stimulation. 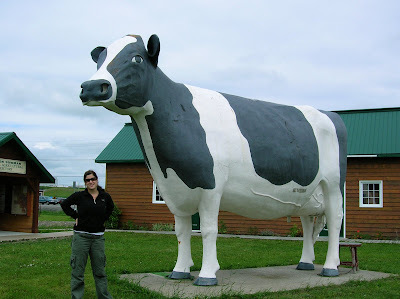 So first up, the New Liskeard Cow! 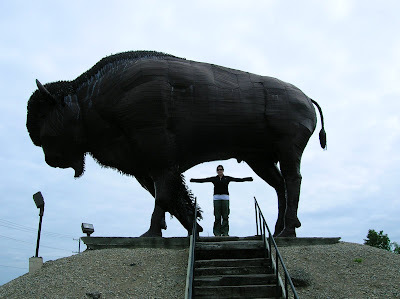 It's worth noting that although I'm stopping in Cochrane, the animal statue carnage continues into the north, with a giant goose in Wawa, a moose in Hearst, Dryden and about ten other places, a muskie and a dream-haunting spider in Kenora and a sheep in Minnitaki. Off I go into the Great White North! Oh big weird animal statues, you're pretty neat, I think I like you.